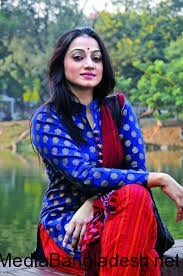 Nazia Haque Orsha is TV performaer, Film actress and Model of Bangladesh. She Born on May 21, 1991. 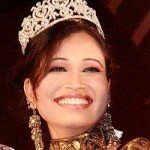 She came under limelight through Lux Channel i superstar 2009 and got 4th position and won Closeup Miss Beautiful smile. Orsha positive affearance, confidencial acting and pragmatic efforts are acceptable in everything step of her career. Orsha said when she was a student of HSC, she realised first to become self-reliant and wanted to do something through she can get name, fame and money. Her mother inspired her most in turning dreams into reality. Orsha dubut on the silver screen through Ferari Fanoosh. Directed by Abir Shreshtha. She acted in an interesting play Tirondaj which was aired on NTV. Directed by Saeed Tinku, the production features Azad Abul Kalam as my co-actor. 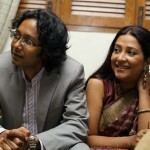 She also worked on Tillo Express, a telefilm by Krishnendu Chattopadhyay. The telefilm is an adaptation of Time, a novel that deals with a peculiar psychological world of human beings. Commercial Ads by Orsha are Mojo Energy Drink, Wheel Powder, Marshal Fridge, Number One Condensed Milk, etc. Television serials and single episode Bangla Natok by Orsha are Cross Action, Chad–Phul,Omabassha, Shwapno Shochari, Kafi Birer Dondo, Arama Kothati Phuralo Na, Tan, Tin Tola Tin Chabi, Saatkahon, etc. Her father name is Enamul Haque and mother is Masuda Haque. She is the eldest daughter among the three daughters of her parents.